A good carpenter can take a piece of wood and turn it into just about anything. Apparently, that includes a bicycle. 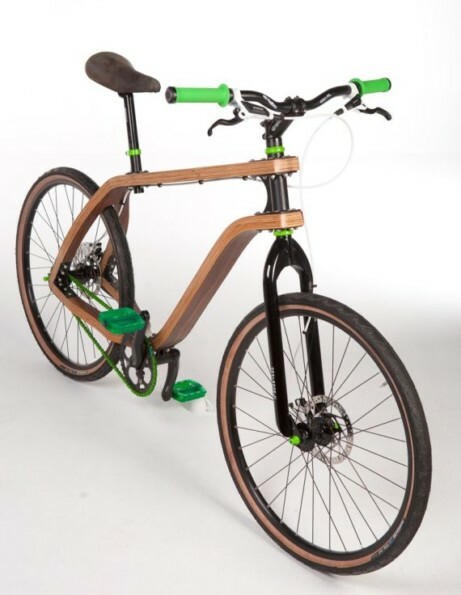 The Plywood bicycle has a frame made out of plywood instead of a more traditional material like aluminium. It’s impressive to see a fully functional bicycle made out of plywood. We never would have guessed that this was even possible. What’s even more impressive is that the bike’s creator Stanisław Płoski had the good sense to use other materials when it was appropriate. A wooden bicycle seat would have been the worst idea ever. I like the wooden bike.